The Division 2 beta is out now. And unlike the beta for The Division 1, which had a 24-hour head start on the Xbox One, The Division 2 beta is playable on PS4, Windows PC, and Xbox One from the get go for those who have pre-ordered it. 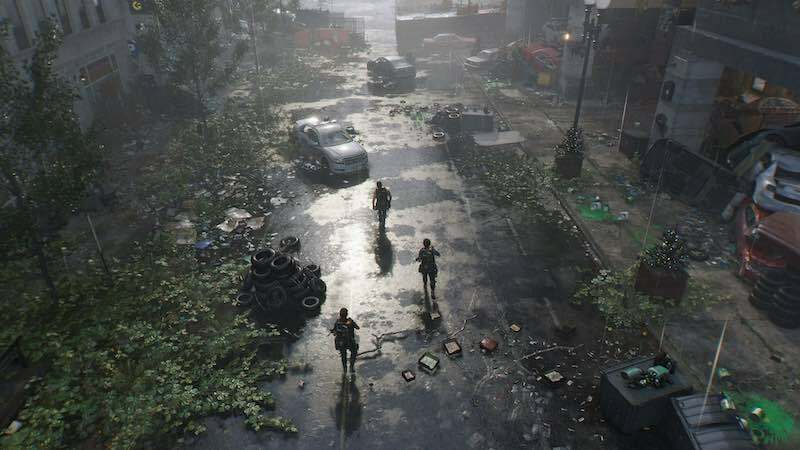 Like the last game, The Division 2 is set in a post-pandemic world, although it trades the snowy New York winter for the sunny climes of Washington DC. You’re an agent of the titular Division. It’s a secret organisation of sleeper agents activated as a last line of defence when all else fails. Of course, it’s your job to bring back some semblance of civilisation that’s fallen into ruin with multiple armed factions on the prowl as well as trying to contain the pandemic at hand. Visually, The Division 2 looks great. Playing on the PS4 Pro, the world of Washington DC is brimming with an almost unreal amount of colour that gels well with the game’s photorealistic graphics. 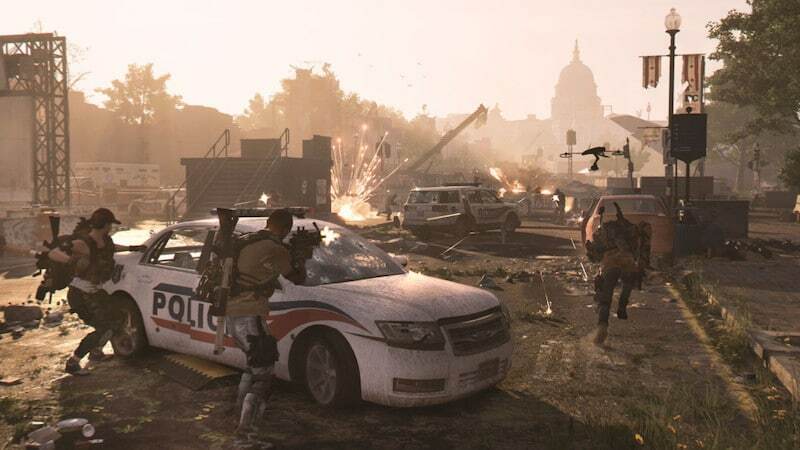 From grassy open spaces to narrow city streets, every single frame of The Division 2 looks vibrant; it’s not as over the top as say, Sunset Overdrive, but it does enough to make our reservations about Washington DC being a drab location versus New York ebb away. Throw in a solid frame rate that made gameplay feel smooth even in its busiest moments, and there’s a lot to like from a technical standpoint. Despite its stunning first impression, we noticed some minor issues as we kept playing. Certain details like graffiti on a building wall or zippers on a character’s jacket would magically appear as you moved closer towards them. It tends to break immersion considering how good the rest of the game looks. Furthermore, switching between options such as reversing controls or enabling subtitles in The Division 2’s menus has very little feedback to confirm your changes. This makes it tough to understand if we managed to turn a specific setting on or off until we noticed it in-game, such as our character moving right when we pushed the DualShock 4 analogue stick left or the distinct lack of subtitles in its cut-scenes, forcing us to check again. It’s a minor issue, but it’s grating nonetheless. For the most part, combat in The Division 2 is a slick affair. It has you ducking in and out of cover as you gun down enemies in your way. Sliding behind a wall and vaulting over obstacles feels smooth and responsive. Much like the last game, you’ll be able to use parkour mode, which allows you to automatically jump over small obstacles. However there are some small tweaks to the formula that have some interesting repercussions. Aiming and shooting in The Division 2 feels a bit more floaty compared to the first game. Even if you enable auto-aim in the game’s menus to quickly snap onto targets or tweak the controller settings, getting a bead on an enemy feels like a task at times. Certain weapons like rifles and shotguns are enjoyable to use while others such as pistols and scout rifles feel like an absolute struggle. Combined with the fact that enemies aren’t highlighted through the duration of a firefight compared to the last game wherein an icon would appear over their heads, this makes it tough to figure out how many foes you’re up against or where they’re located on the map. Thankfully, the game’s audio coupled with vocal enemy AI makes up for this. Alll in all, combat in The Division 2 beta toes the fine line between fun and frustration. One can only only hope that things change in the full game as more skills and abilities would be available, which seemed to be the case with a preview build we checked out on the Xbox One X last year that was based on missions that play out in the middle of The Division 2’s story. Speaking of skills and abilities, The Division 2’s tech tree makes a comeback. While the beta allowed us a sliver of the full game’s choices, what we saw and used seemed promising. Drones can be configured to execute bombing runs with pinpoint precision or simply lay down covering fire while turrets can be outfitted with a sniper rifle for one shot kills. With a tap of a button you can assign them to fire at specific targets, making combat feel like less of a slog against some of its more powerful opponents particularly if you’re giving The Division 2 a go on your own. How The Division 2’s guns, gadgets, and setting come together over the full game remains to be seen. Though if the beta is any indication, the opening hours may be rougher for most players compared to the last game. Thankfully, we won’t have to wait too long to find out. Watch out for The Division 2 on March 15.